The U.S. healthcare system is experiencing a major scientific and philosophical evolution, driven by the growing demand for integrative care that addresses the mind, body, and spirit connection. As a natural, evidence-based practice, acupuncture is leading the movement of alternative and integrative healthcare. The effects of daily stress are urging patients to seek care from acupuncture professionals who can provide innovative solutions to ailments, mental health disorders, and overall wellness. Pacific College’s professional programs are uniquely positioned to help future healthcare professionals lead the alternative healthcare movement in New York, inspiring a deep and lasting respect for the integrity of the human body, mind, and spirit. Master of Science in Traditional Oriental Medicine (MSTOM): This program makes students eligible for the California state licensure exams as well as the national certification examinations, which enable students to become licensed in the remaining states that regulate acupuncture colleges and Oriental medicine schools. This program helps students become eligible for the national certification examinations from NCCAOM and allows the student to become licensed in states that regulate acupuncture and Oriental medicine using the NCCAOM exam. Advanced Certificate in Herbology: The program has been designed for licensed acupuncturists and qualifies students to become eligible for the NCCAOM exam in Chinese Herbology. Transitional Doctorate for Master’s Graduates: The Pacific College of Oriental Medicine has designed this pathway for acupuncturists who already have their master’s (or equivalent) to continue their work and receive their doctorate. The American College of Physicians recently issued a new set of guidelines that support acupuncture as an effective alternative to opioids for pain. With an estimated 20 percent of the U.S. population suffering from low back pain, acupuncture is gaining wider appeal. In addition, acupuncture has been cited by the World Health Organization (WHO) as a potent treatment for a wide array of ailments and conditions, such as headaches, insomnia, back pain, infertility, heart problems, and sports injuries. Healthcare organizations across the world are also actively seeking trained acupuncturists with backgrounds in biomedicine, herbology, and holistic healing. Who Should Choose These Programs? The Pacific College acupuncture programs have attracted experienced acupuncturists and aspiring alternative health practitioners. An acupuncture program at the Pacific College acupuncture school in New York appeals to those passionate about naturally restoring balance within the human body. 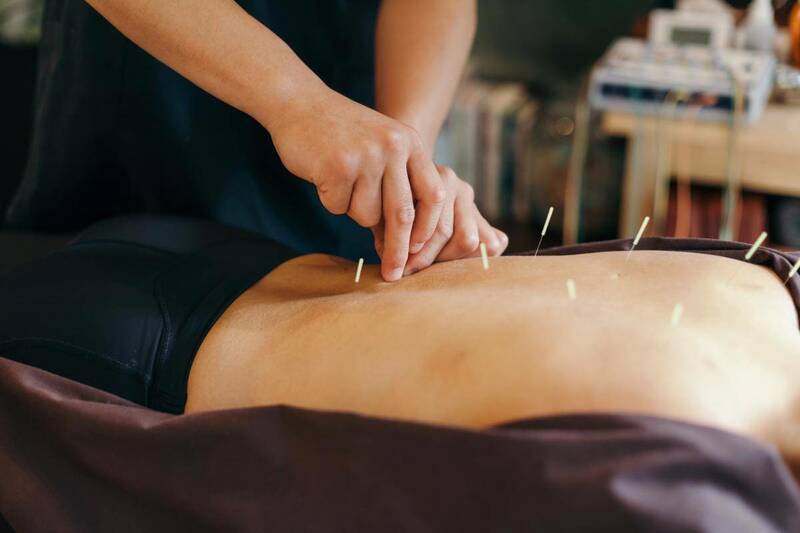 As interest in alternative treatments and holistic care increases among the U.S. population, health practitioners currently practicing in the field of acupuncture will need to deepen their understanding of holistic healing and Eastern medical theory to gain a competitive edge. Our advanced courses expertly blend biomedicine-based practices with traditional holistic healing to capture the strengths and efficacy of each domain. The Master of Science in Acupuncture degree program trains practitioners of acupuncture to function as primary, independent healthcare providers. Students have the option of choosing between an emphasis on classical or traditional Eastern medicine. Our Master of Science in Traditional Oriental Medicine appeals to health practitioners who have a desire to develop a perspective based on traditional Eastern medicine, including herbology, and modern biomedical science. Courses were developed by doctoral educators, subject matter experts, and experienced distance education designers and enrich the acupuncturist’s understanding of both biomedicine and Eastern medicine. And finally, the Advanced Certificate in Herbology equips licensed acupuncturists with the knowledge of the fundamental principles of herbal medicine, extending the scope of practice to include both herbology and acupuncture. Since 1986, those with a calling to heal and promote overall health in the mind and body have been led to the programs at the Pacific College of Oriental Medicine. Graduates are prepared to both prevent and remedy pain, discomfort, and disease through practices such as massage therapy, acupuncture, and holistic nursing. Pacific College prepares students for careers as healing practitioners through an intersection of Eastern healthcare practices and Western bioscience with a strong hands-on clinical component. All three campus locations feature student clinics where learning practitioners serve the needs of real clients. If you think a career in holistic medicine is something you would like to pursue, contact us to speak with an admissions representative who will get you started on your new journey! For more information, call (855) 866-6767 or fill out our contact form to be contacted by a Pacific College representative.